Ever since she was old enough to hold a needle, Jan has stitched, sewn, knit and beaded, creating beautiful and intricate works of art. She works in a variety of media including painting, fabric dyeing, tatting, knitting, crochet, beading, embroidery and quilting. 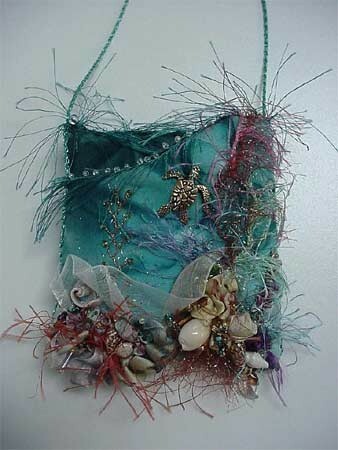 The colours and textures of Mother Nature inspire Jan to create her wonderful pieces. Although her technical skill is superb, it is Jan's joyous spirit which draws the viewer in to her work. 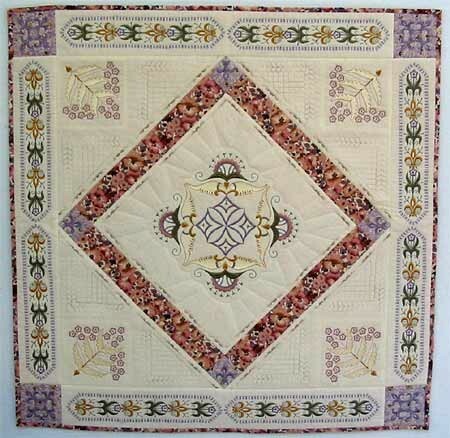 She has won numerous contests with both her quilts and stitchery, including first place in the 1998 Jinny Beyer Palette Quilt Challenge, non-professional quilt category.